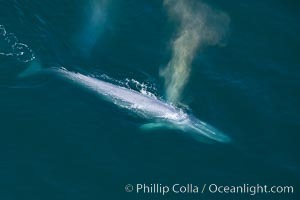 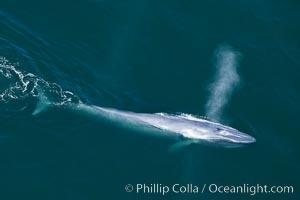 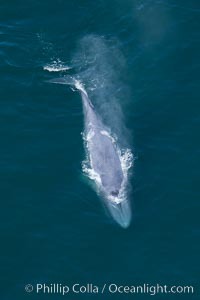 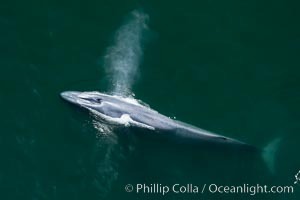 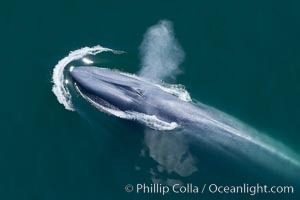 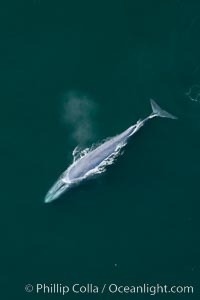 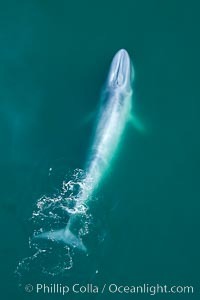 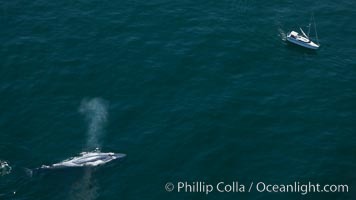 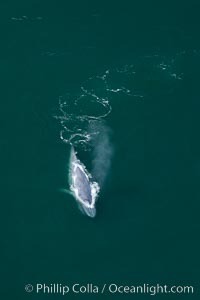 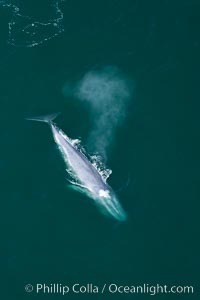 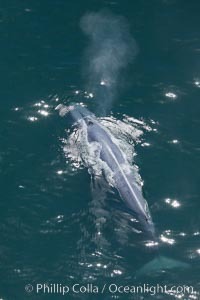 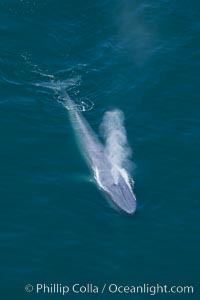 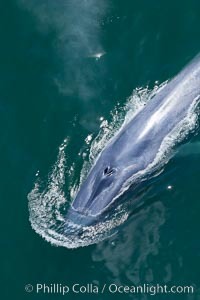 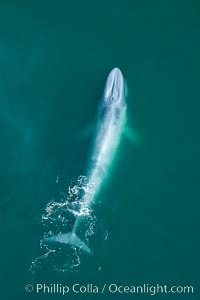 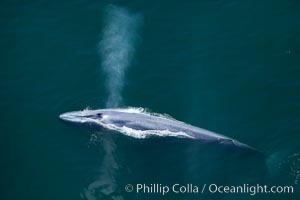 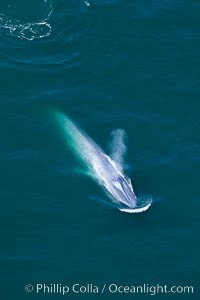 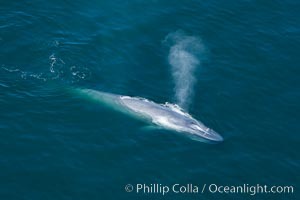 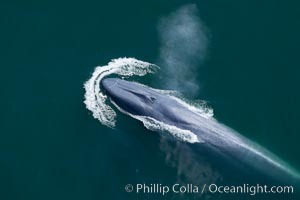 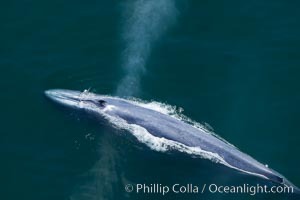 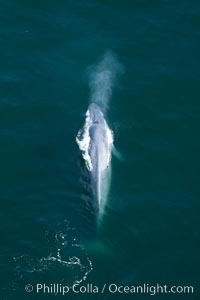 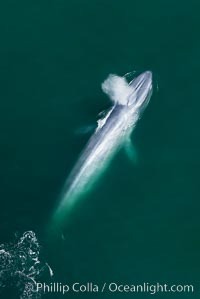 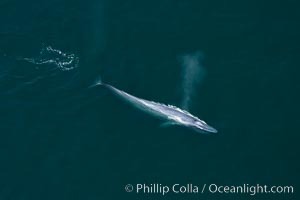 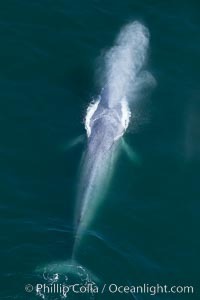 Blue whale, exhaling as it surfaces from a dive, aerial photo. 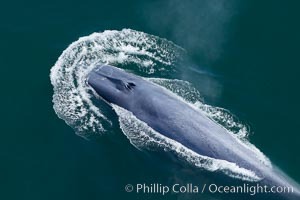 The blue whale is the largest animal ever to have lived on Earth, exceeding 100' in length and 200 tons in weight. 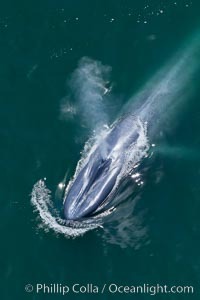 Blue whale swims at the surface of the ocean in this aerial photograph. 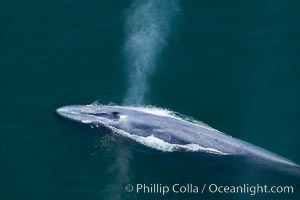 The blue whale is the largest animal ever to have lived on Earth, exceeding 100' in length and 200 tons in weight. 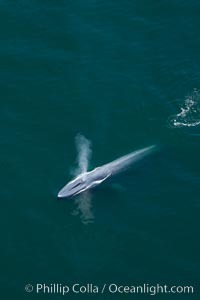 A blue whale swims near a sailboat. 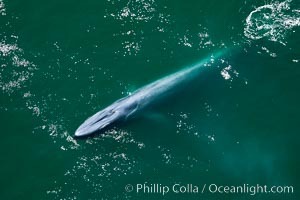 The blue whale is the largest animal ever to have lived on Earth, exceeding 100' in length and 200 tons in weight. 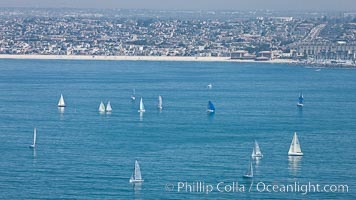 Sailboats and coastline near Redondo Beach. 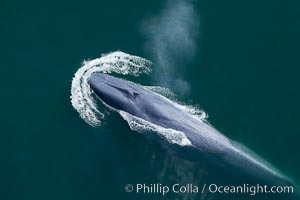 A blue whale's twin blowholes are fully opened as it inhales a breath of air just before diving underwater.